Cosmetic Physician Dr. Anita Hegde, Medical Director of MedicaSkin Clinic in Sydney Australia joins eHealth Radio and the Skin Care and Plastic Surgery Information Channels to talk about some important information about skincare. What led you on the journey from a highly regarded Cosmetic Physician to creating a skincare product? The Skin Smoothing moisturising cream got a frontpage write-up in a national paper and media coverage from the Hollywood gift bag opportunity at the Oscar and Emmy Awards. Tell us more. What makes your Skin cream cost effective? TIP: Apply moisturisers after bathing/showering while the skin is still damp. This traps the moisture in the upper layers of the skin. Long, hot, or frequent bathing/washing may make dry skin worsen. Dr Anita Hegde has more than 20 years of expertise in Aesthetic Medicine. She is a highly regarded and award-winning Cosmetic Physician practising in Sydney, Australia. 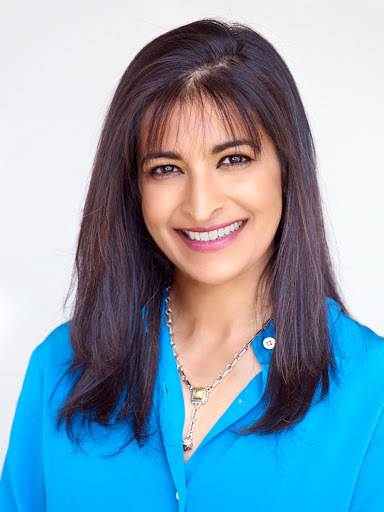 Anita prides herself on having an empathetic appreciation and sensitivity to the needs of the thousands of women and men who have sought her non-surgical aesthetic treatments to present their best face to the world. She is known as an innovator, specialising in non-surgical treatments of the face, using facial muscle relaxants and natural fillers to treat folds and wrinkles in skin. In addition, she is the founder MedicaSkin Products and a celebrated, nightly moisturising cream that found its way into Hollywood celebrity gifting bags at the 2016 Oscar and Emmy awards. The Skin Smoothing moisturising cream has also been featured on California's KCal TV and NBC Arizona as a “top trending product for the holidays and beyond” and gained media attention in Australia and New Zealand. Diploma in Obstetrics and Gynaecology​, FCPCA.